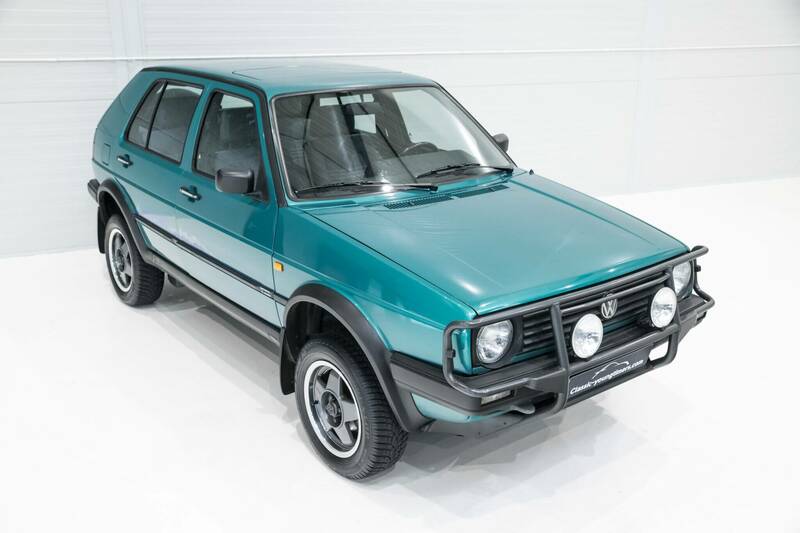 On March 29, 1974, the first VW Golf rolled off the production line. 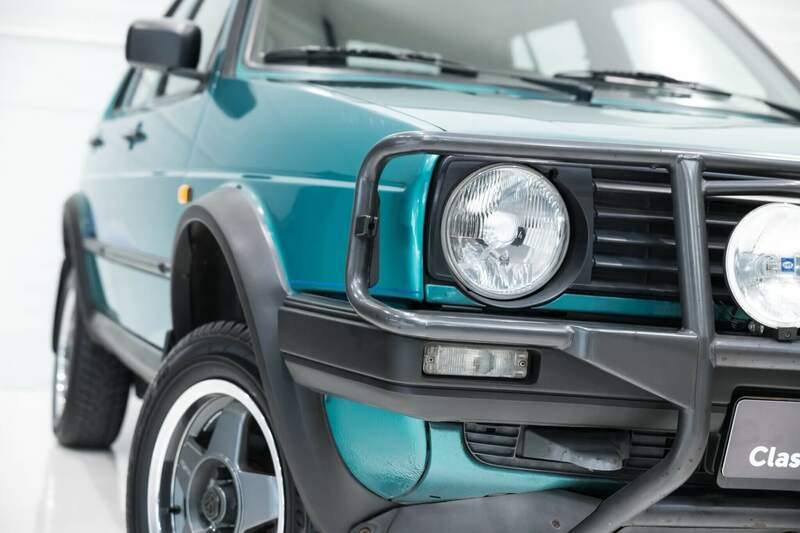 Now 45 years later, the Golf’s production number is over 38 million. 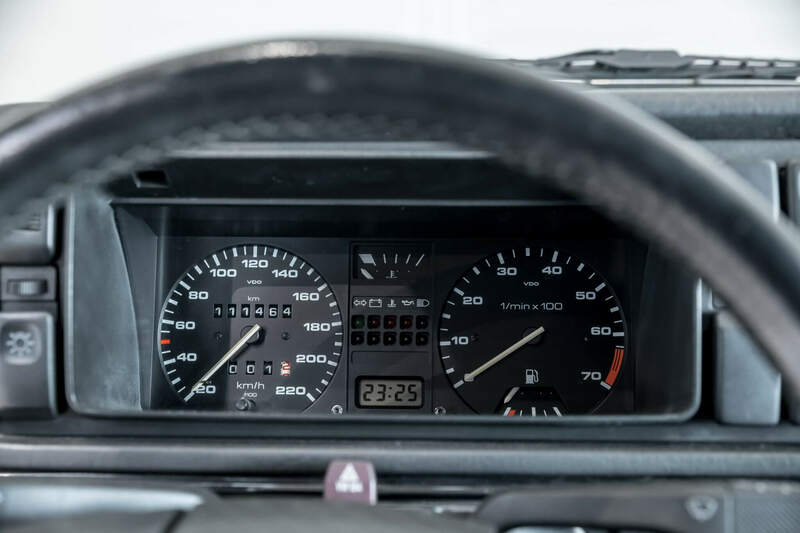 To celebrate this milestone, we’re dedicating this week’s Want to the iconic hatchback. 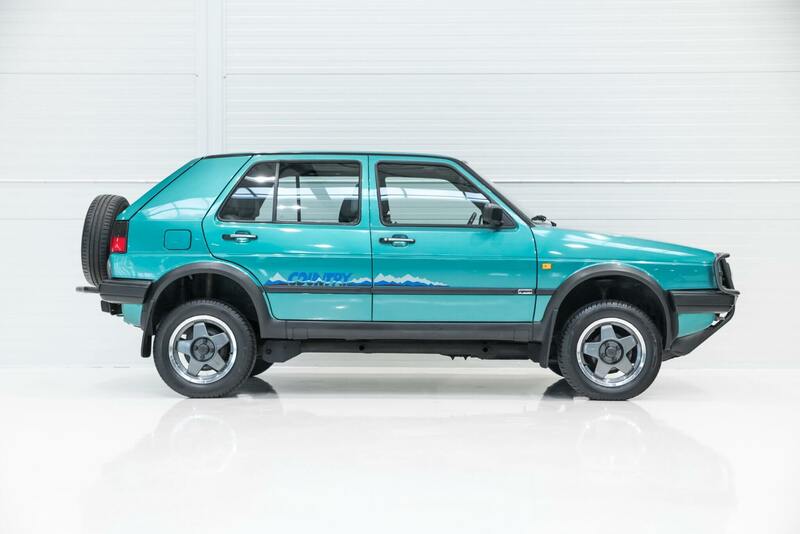 But just any Golf won’t do, which is why we’re taking a look at one of the strangest: the Golf Country Syncro. 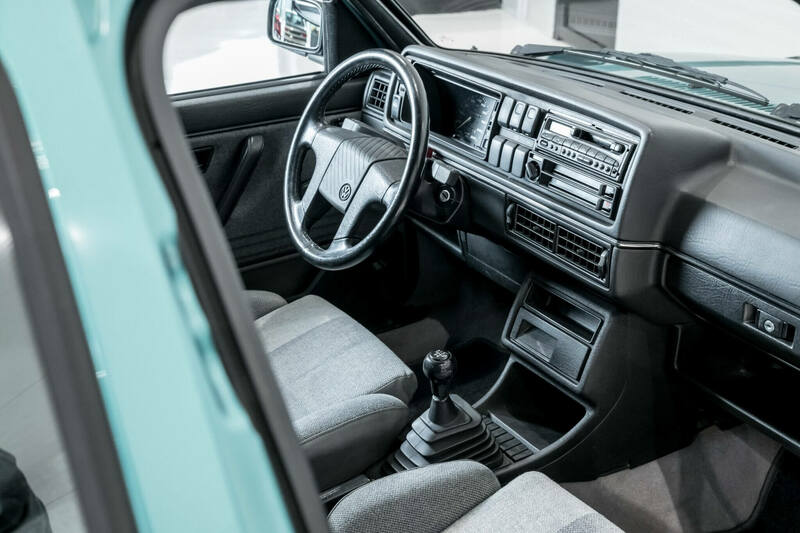 Originally called the Montana, the concept version made its debut at the 1989 Geneva Motor Show. 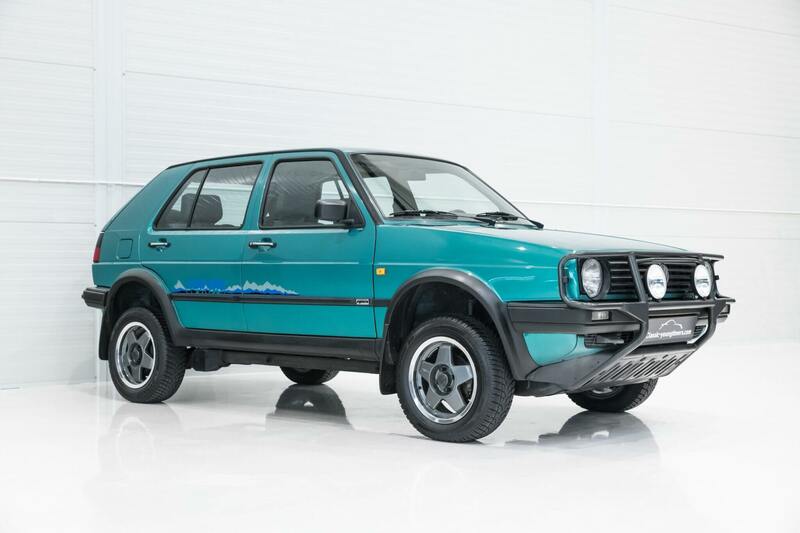 As a crossover before crossovers were even a thing, it captured the attention of the public and automotive press. 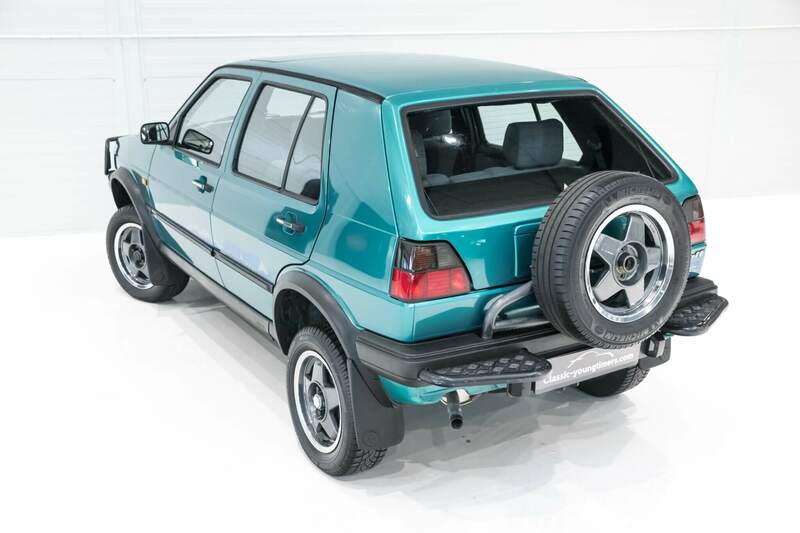 Spurred on by the folks clamoring to check out the Country, VW ultimately made the decision to put the car into production. 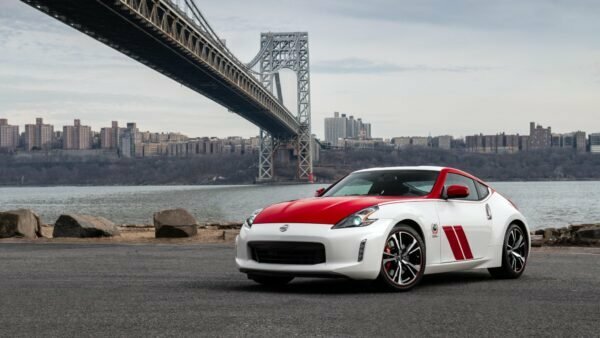 Surprisingly it was ready to hit the dealer lots the following year. Although to transform a run-of-the-mill Golf into a Country wasn’t terribly difficult. 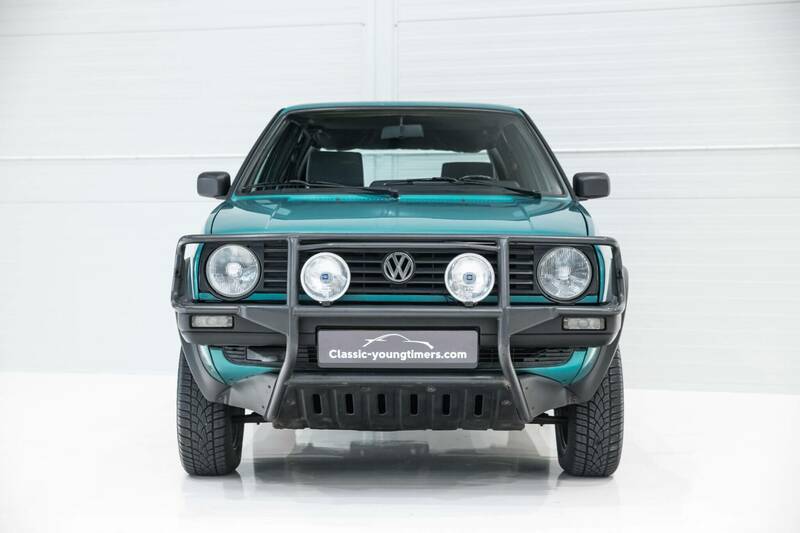 To start the process, VW took a five-door Golf CL Syncro from its Wolfsburg plant. From there it shipped it off to Steyr-Daimler-Puch in Graz, Austria for conversion. 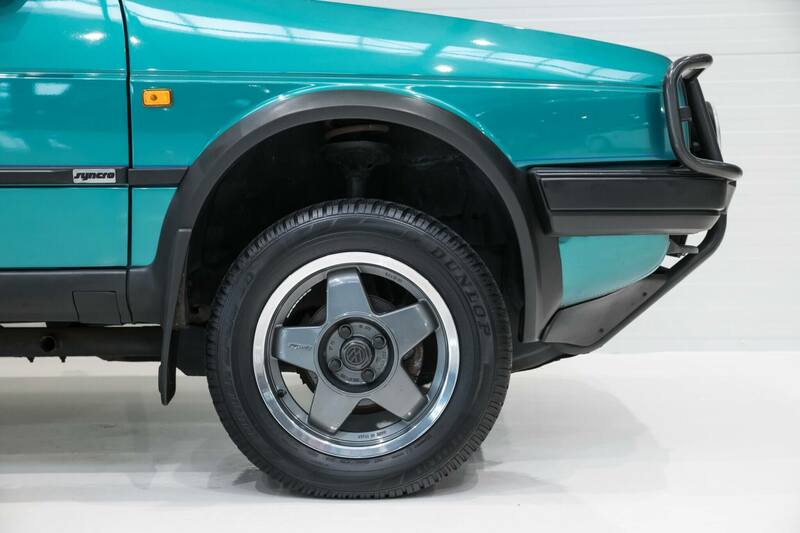 Since the Golf CL Syncro was already AWD, Steyr-Daimler-Puch mostly focused on tacking on off-road parts. This included things like skid plates, a front bull bar, steel bumpers, fender flares, and a swing away tire carrier in the rear. 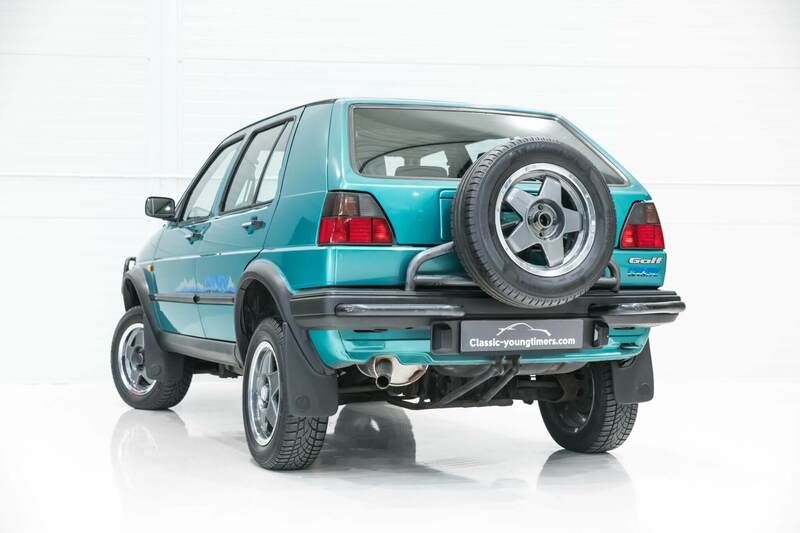 This made it look the part for sure, but it still needed the additional ground clearance to make it more capable. 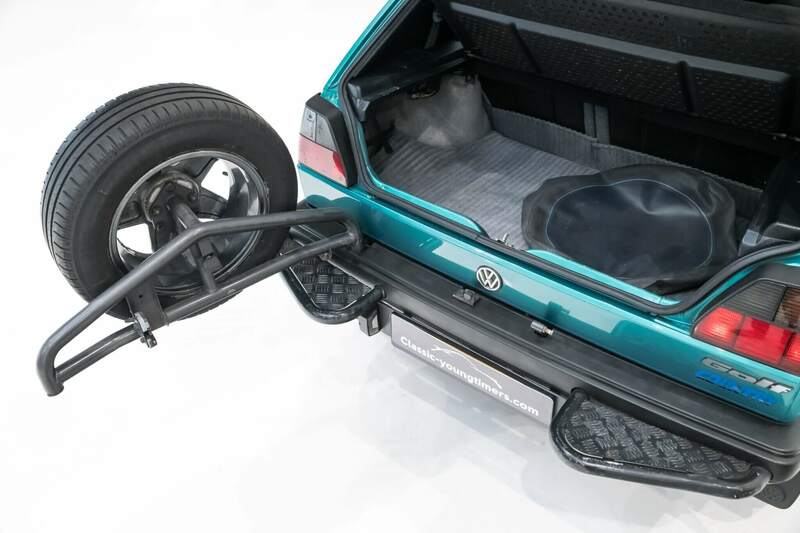 To remedy this Steyr-Daimler-Puch added a steel frame under the Golf’s unibody. 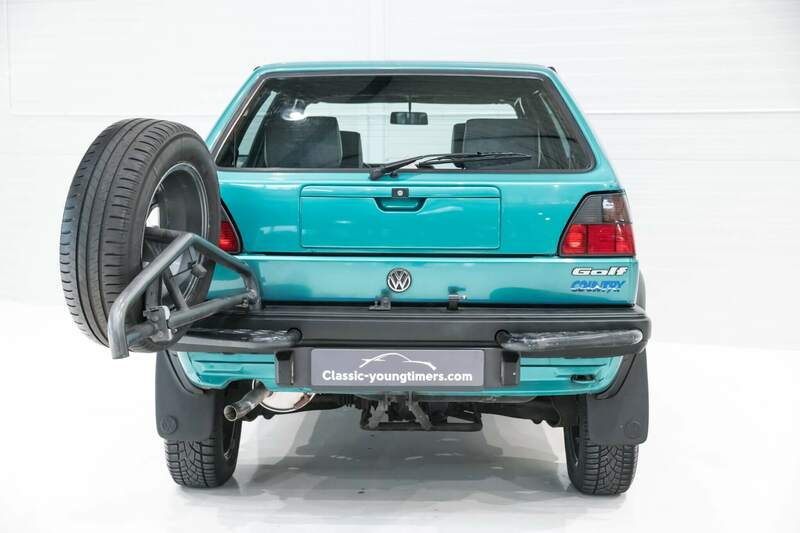 Coupled with bigger springs and shocks, this added some serious height to the Golf. 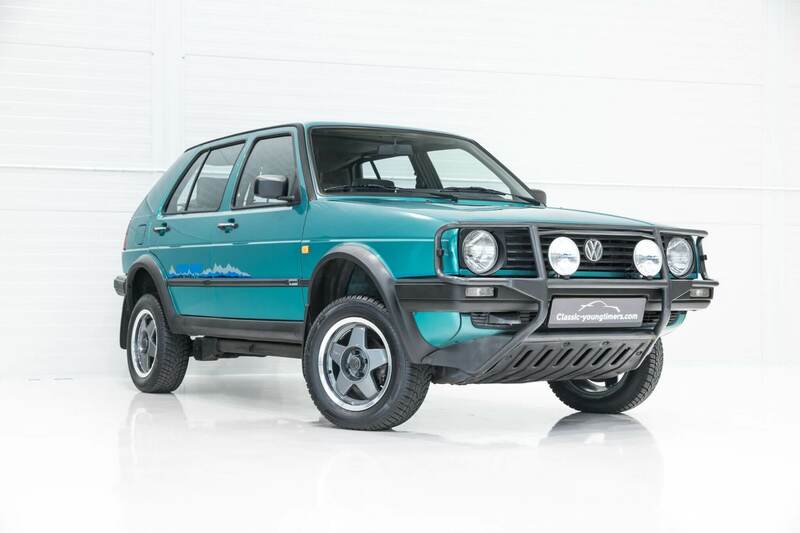 Altogether the increase was around eight total inches of lift over the standard Golf. 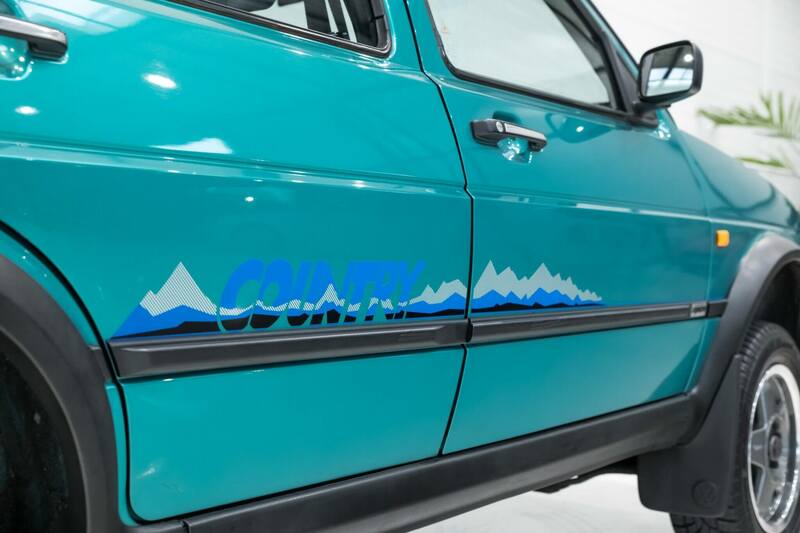 Despite the off-road modification, the Country was just at home on the road too. 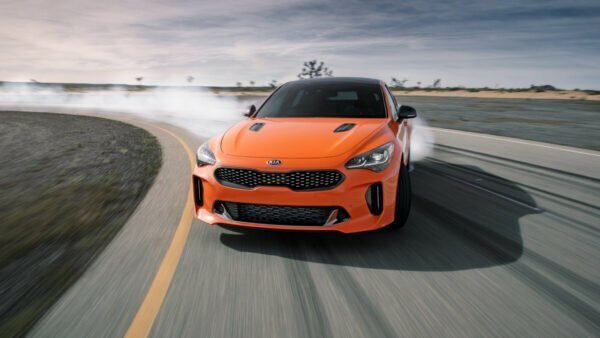 Thanks to its trick AWD system, it sent almost all the power to the front wheels a majority of the time. 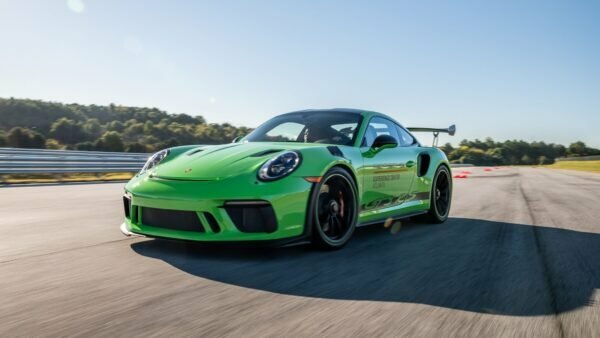 However, as soon as it sensed slipping, it sent upwards of 50% to the rear wheels. This meant it could cruise around normally until the going got a bit rough, but not too rough. Since it was still a car, it couldn’t rock crawl or do any serious off-roading. It could tackle a sandy road though, or more importantly a snowy one. Due to this it quickly found its niche on Alpine roads and around ski resorts. Unfortunately, VW only produced the Country for two years. 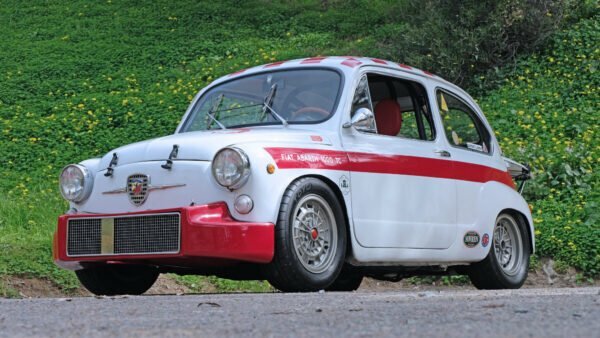 As a result, only 7,735 were ever made, making them fairly rare. 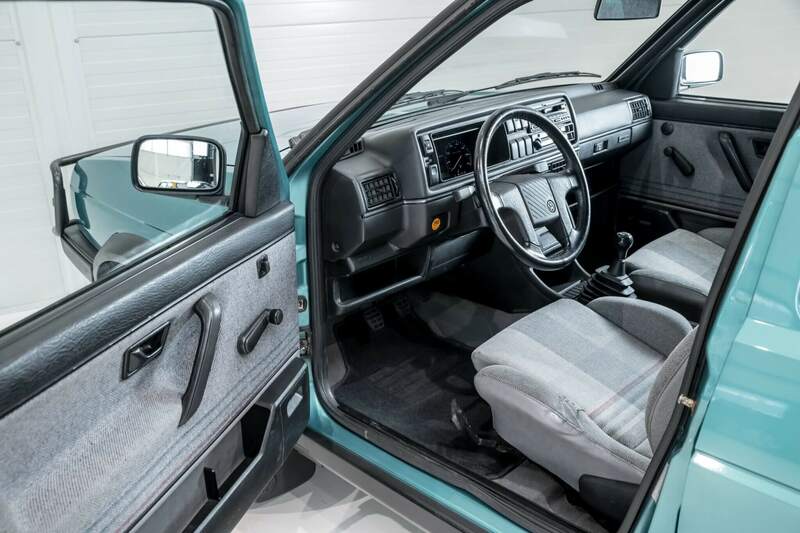 But we did manage to find an example in excellent condition for sale by Classic Youngtimers of Uden, The Netherlands. 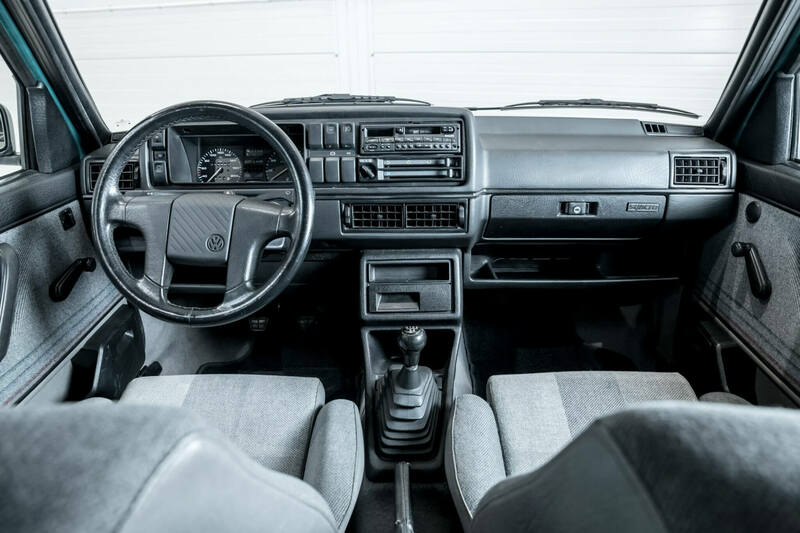 As an early build model, the listing says it first rolled off the line in April 1990. 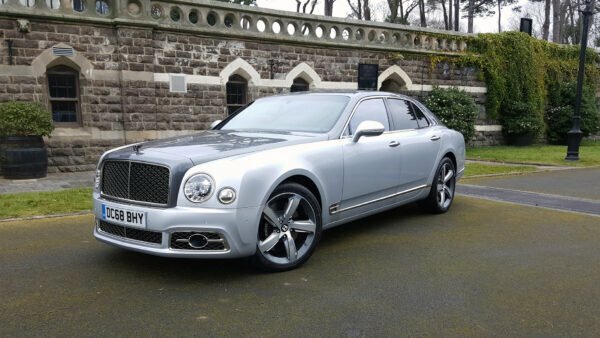 It looks fairly well equipped too with only 111,464 km (69,260 miles) on the clock. 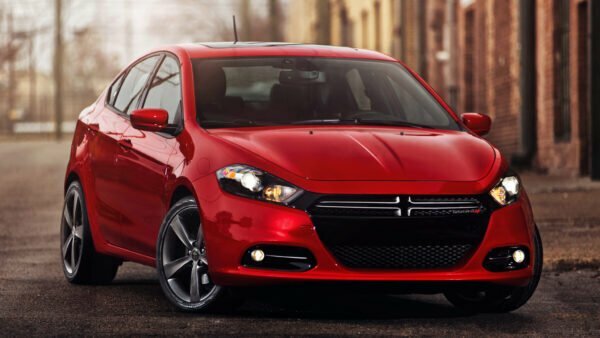 Under the hood sits a 1.8-liter four-cylinder mated to a five-speed manual transmission. At 98hp it’s fairly slow, but as part of the build package, it did get a re-geared transmission. As a result, it’s still manageable on the road. The paint is Montana Green Metallic, which is a totally rad looking early ’90s color. 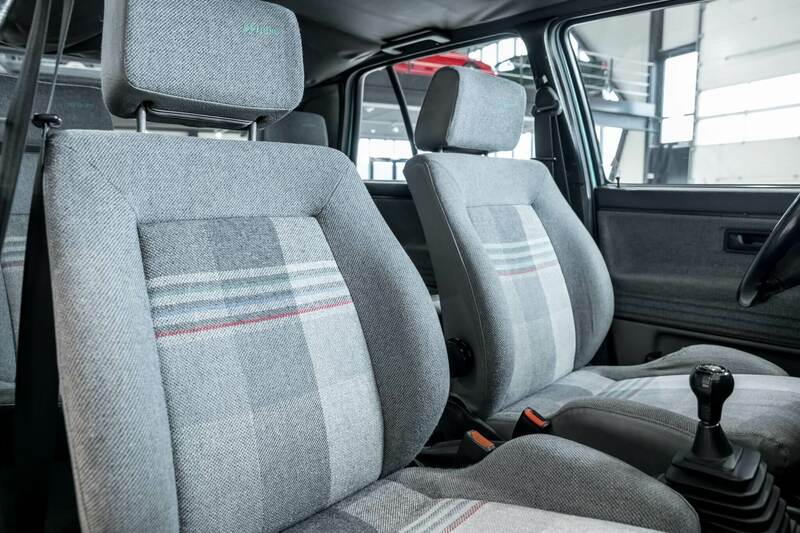 The interior is equally retro as well with gray Montanakaro fabric. The price is a bit steep for this Country though. At €18,500 ($20,700) it’s treading close to the cost of a 2019 Golf Alltrack. 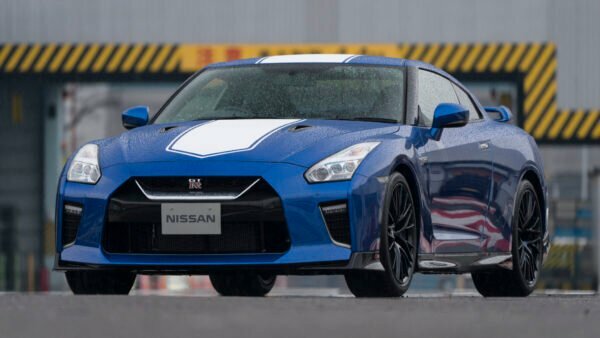 However, the Country was fairly pricey in its own time, at 33,225 DM ($19,087) when it was new. Still, if you want to really stand out from the crowd it could be worth it. Also, since it’s over 25 years old, it’s perfectly legal to import as well.